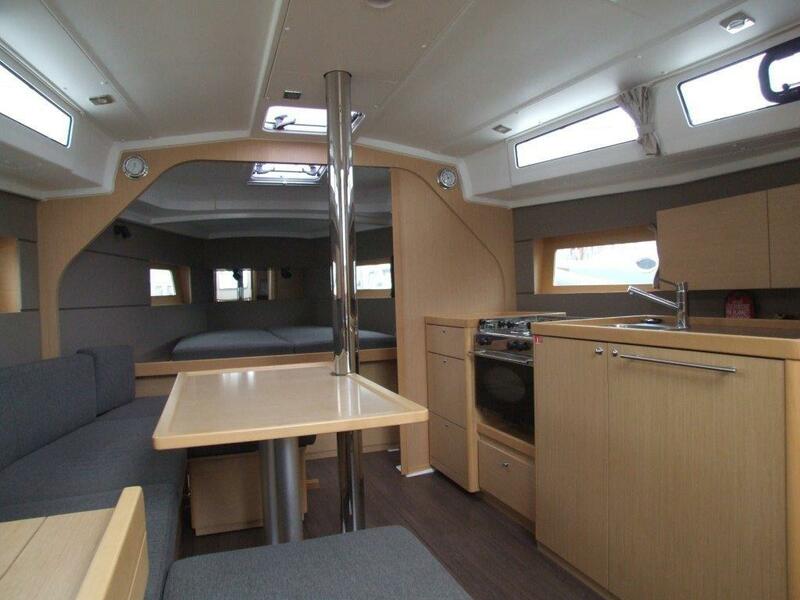 Beneteau Oceanis 38, 2015, cruiser version. All GRP with solid wood in cockpit, swimming platform, twin steering. 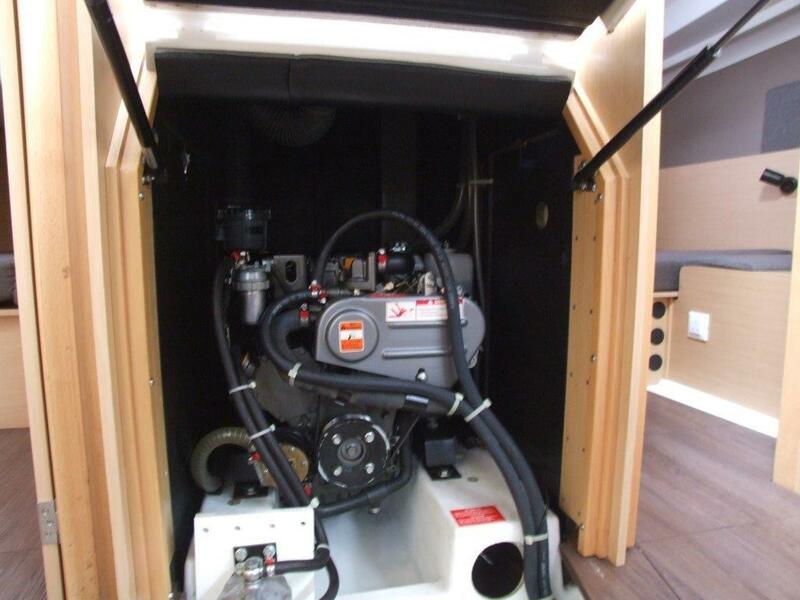 Yanmar 29hp diesel engine, cabin heating, classic rig, Harken winches. 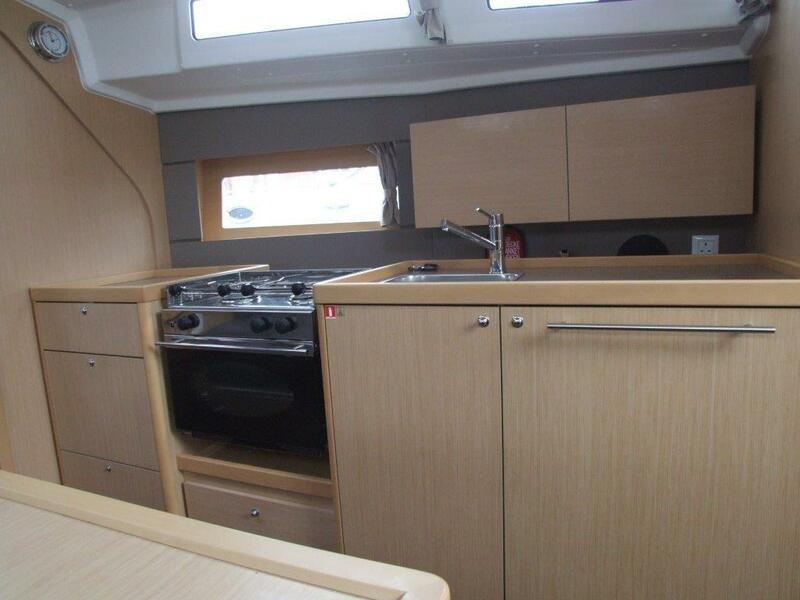 Sleeps up to 8 in 3 double cabins + saloon conversion, shared heads compartment with Wet locker Features B&G electronics, Fusion music system, safety gear, sprayhood. 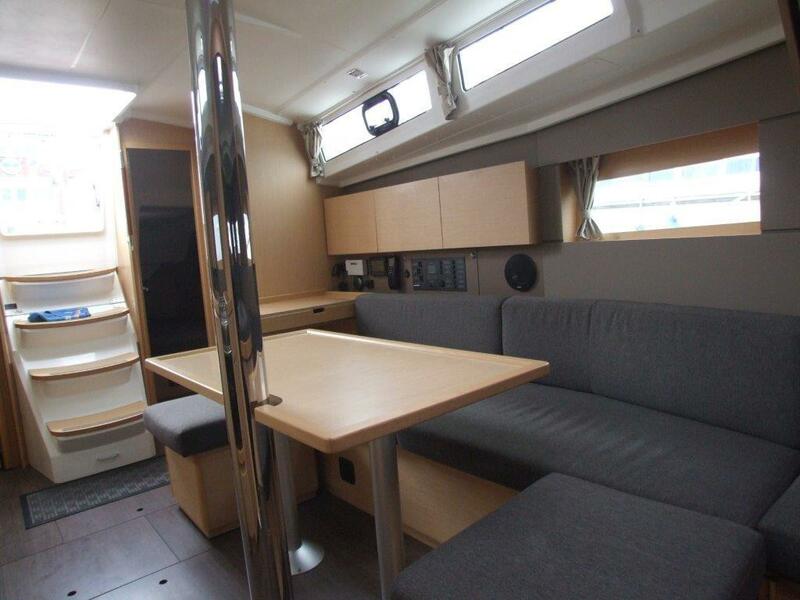 Length at Waterline: 10' 9"
All GRP with solid wood in cockpit and on slatted tops on locker benches. Solid wood slatted helm seats. White hull. Main sail arch with LED lighting. Twin underhung rudders with stainless steel stock. Twin steering consoles with leather covered wheels. Hinged PMMA companionway doors with sliding PMMA hatch. Engine had the first service, 2015. Anodised aluminium standard mast with 2 aft-swept spreaders. Discontinuous stainless steel standing rigging. Rigid boom vang with tackle. Roller furling genoa with drum on deck. Genoa sheets adjustable from cockpit. 2 x genoa tracks with piston adjusted traveller cars. 2 x genoa sheet return stainless steel fairleads. Rigging run back to cockpit except boom topping lift. Lazy jacks and lazy bag. 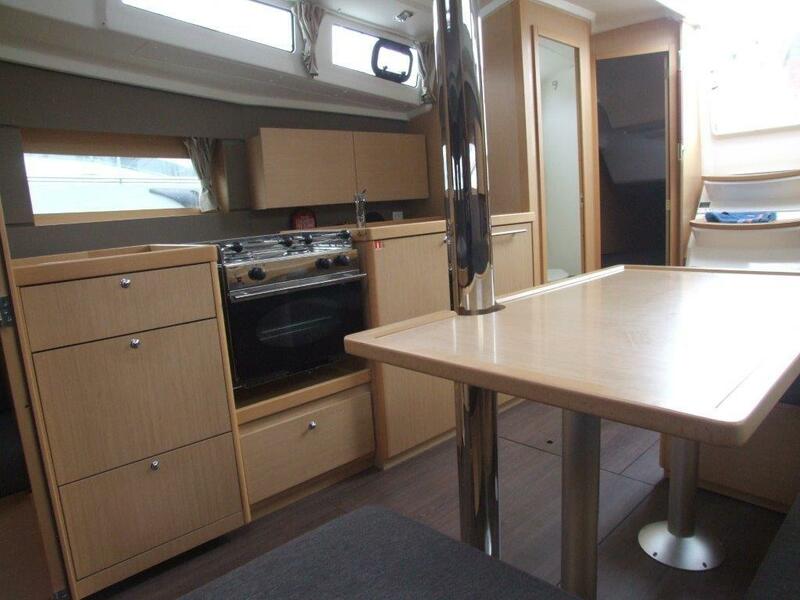 Sleeps up to 8 in 3 cabins plus saloon conversion. 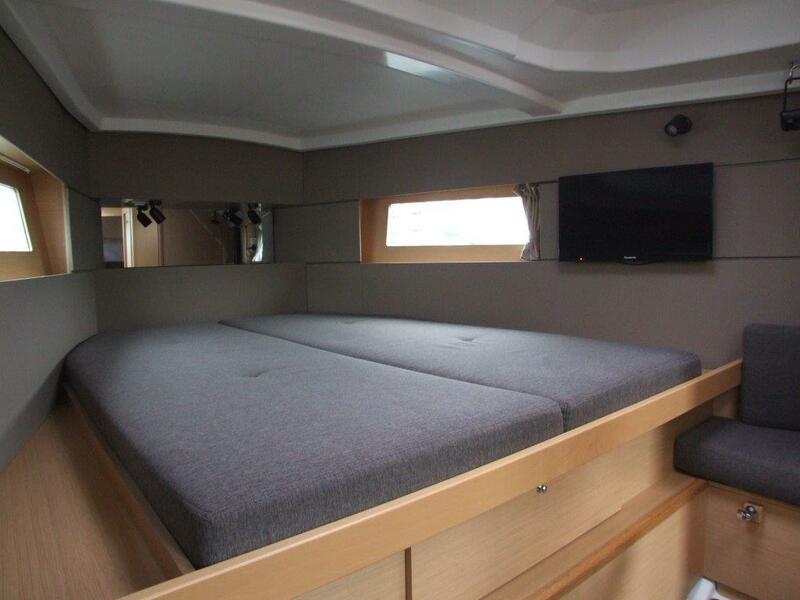 Master cabin forward with double berth, wood hanging locker, further storage and opening deck hatch. 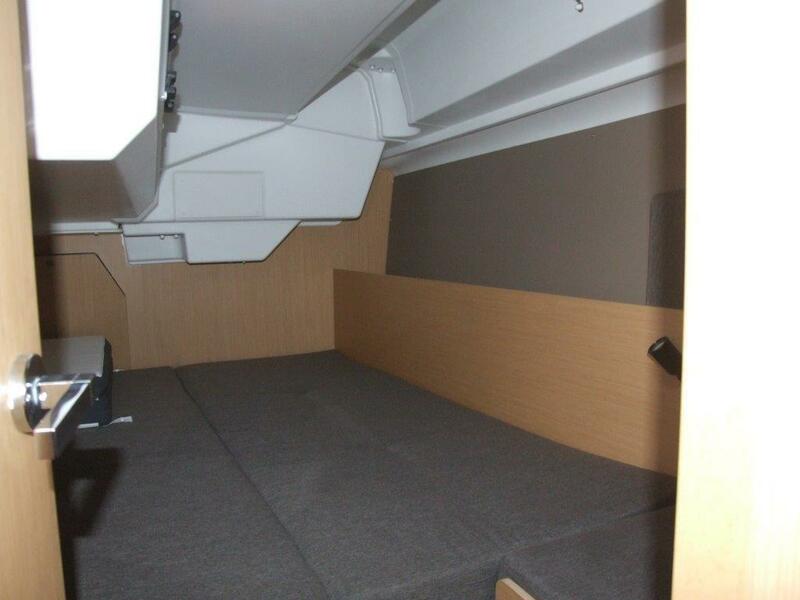 Twin aft cabin with double berths, storage and opening ports. 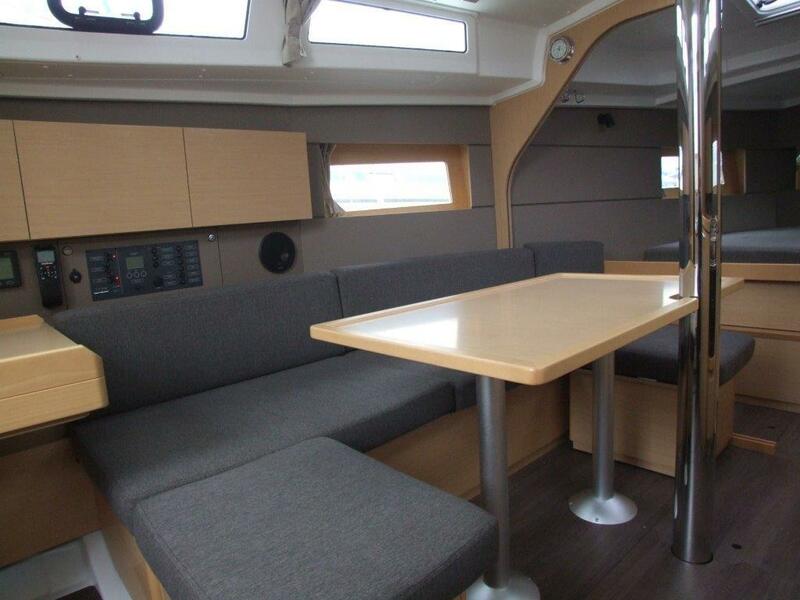 Saloon features “U” shaped seating around a table to port, + stool, linear galley to starboard. 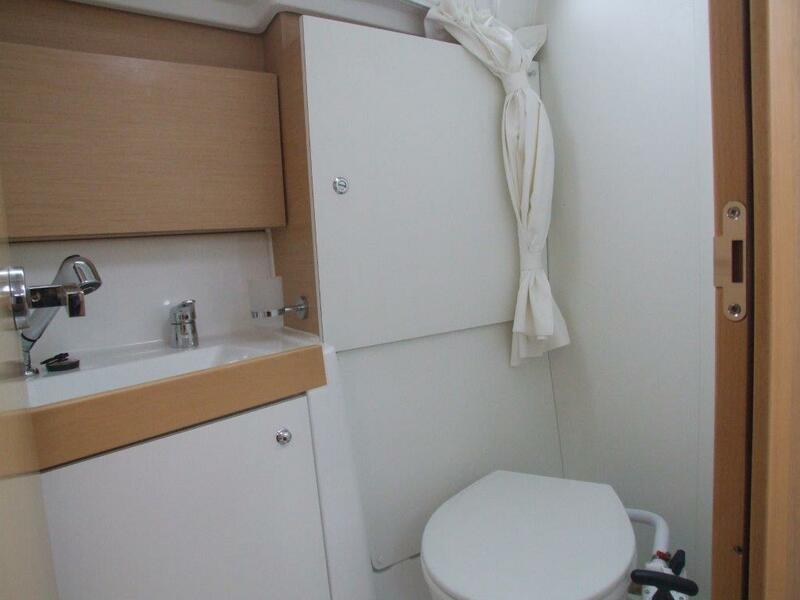 Shared heads compartment accessed off saloon to starboard with WC, and hand basin. 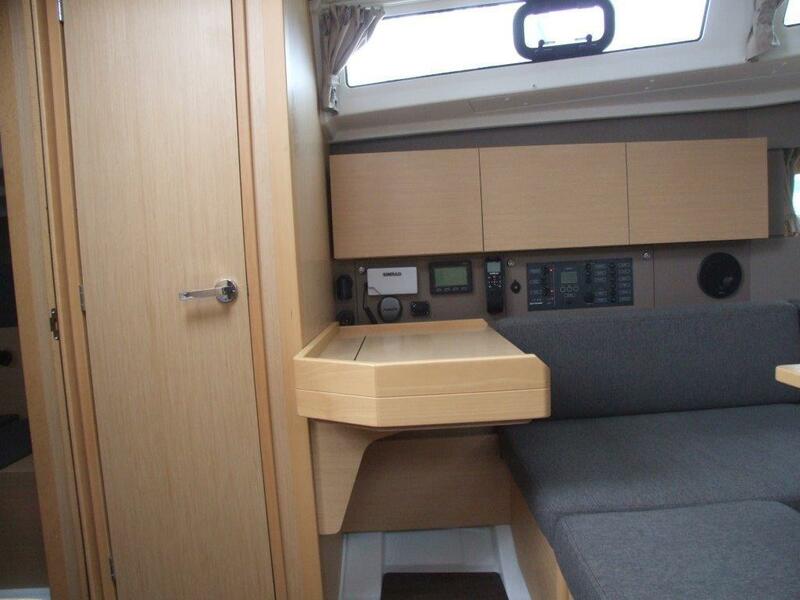 Shower compartment fitted as extra option to port aft of navigation station and large hanging locker. Up steps to cockpit area with seating/lockers, and twin steering positions. 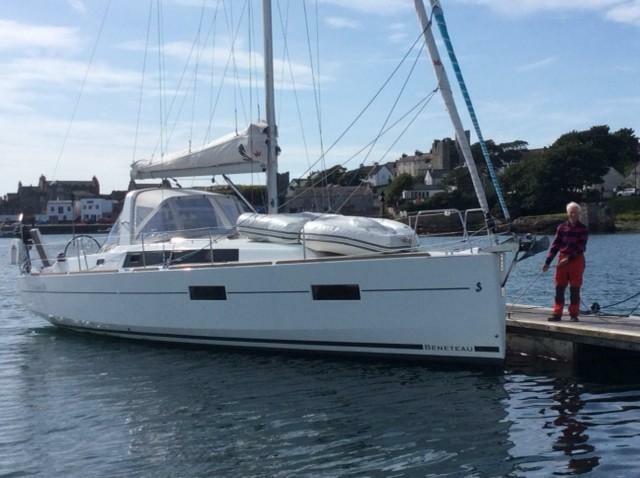 If you would like more information about this Beneteau Oceanis 38, please get in touch using the contact details below, or alternatively by using the contact form on the right.